Since her debut last year, Doc McStuffins has been a huge hit with pre-schoolers. If you haven’t seen it – this sweet young girl, who aspires to be a doctor like her mom, runs a clinic for stuffed animals and toys out of her backyard playhouse. To celebrate the second season, Disney is doing a 10 city-stop “Doc McStuffins Mobile” Nationwide Tour where kids can bring their own toys to the “Doc Mobile” and can perform check-ups on them in a designated area. 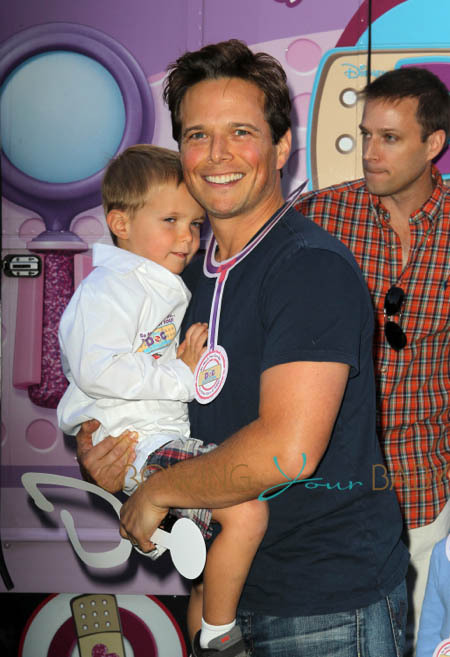 While at the Grove over the weekend celebrities lined up with their kids to be part of the event. Lisa Stelly with her daughter Pearl, and mother in law Sharon Osbourne. 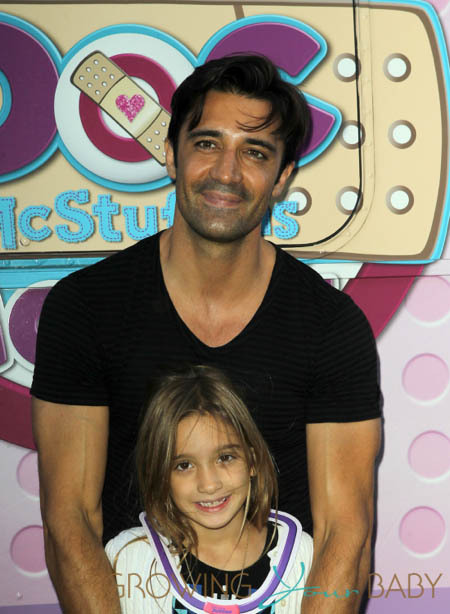 Gilles Marini and his daughter Juliana. Scott Wolfe and his son Jackson.